This week, we were lucky enough to have a visit from a exciting new author called Dan Thompson. Dan, who is a local author came into read his new book Elaine Gale and answer questions from the children. Elaine Gale is the story of an evil snow queen and the brave children who plot and succeed in defeating her. 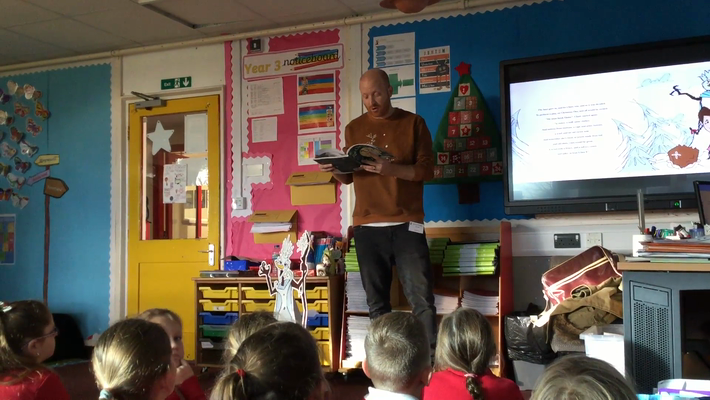 It was a great pleasure to have Dan come in and visit and the children have been inspired to start writing and illustrating their own Christmas stories. If you would like to order a copy of the story Elaine Gale, then order forms are posted at the bottom of the page.